If you’ve been reading or watching Time+Tide for more than five minutes, you might have noticed that I’ve got something of a soft spot for watches that are both sublime and ridiculous. And honestly, Baselworld is the best place to see these rare, beautiful birds all in one place. 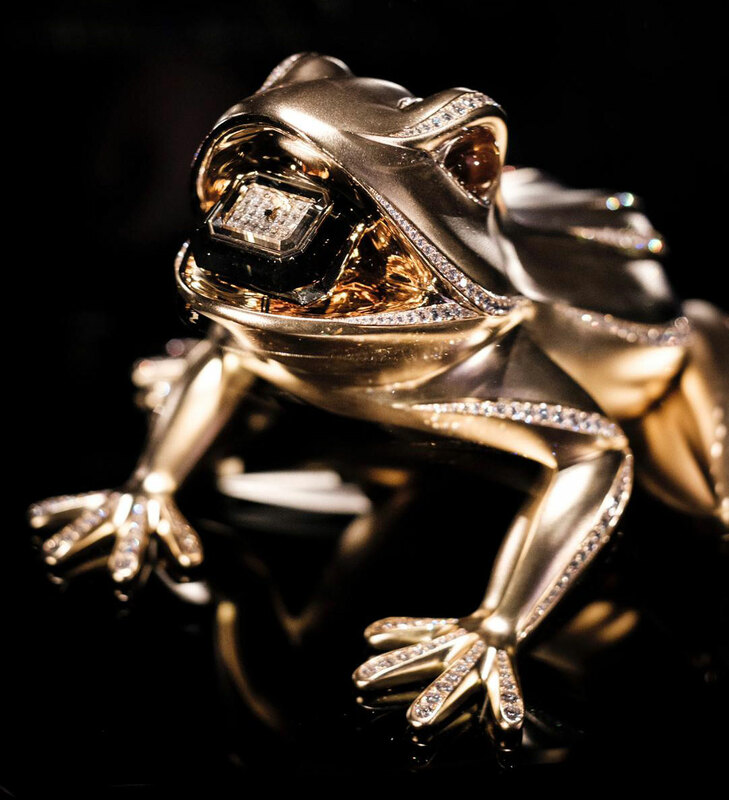 Before they fly the coop into the boutiques, bank vaults and wrists of the international connoisseur cognoscenti. Now, before we get into the timepieces themselves, a quick caveat. When I say “over the top” I mean that in the best possible way. In many ways, this sort of horology represents the very best elements of the craft — artisanal skill and ingenious engineering meeting in the middle to result in something that transcends both. 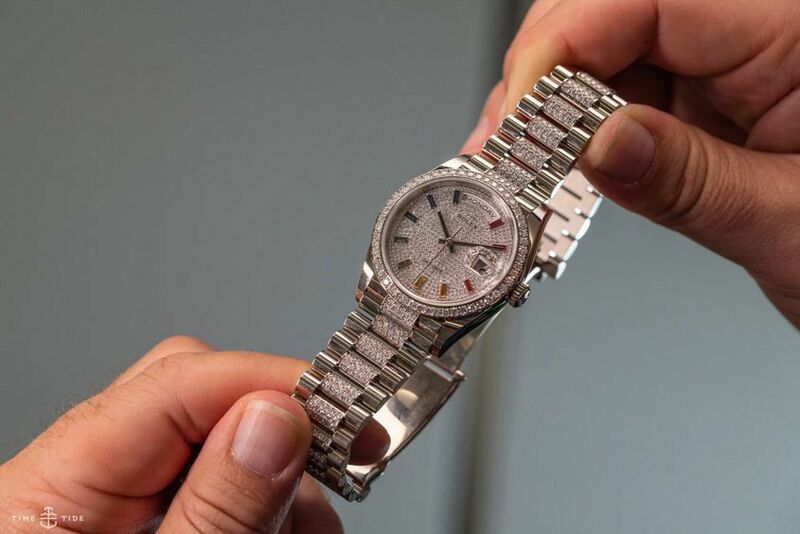 No one does diamonds quite like Rolex. But you know what, the thing that really charms me about this piece is the batons. Perfectly graduated rainbow indices. Amazing. Nobody needs a giant gold frog with a clock in its mouth. And that’s why it’s perfect. The latest addition to MB&F’s Legacy Machine line has been made with women in mind. A highly domed crystal, stacked movement crowned with a tourbillon, with an off-centre, angled dial, all in a 38.5mm case. 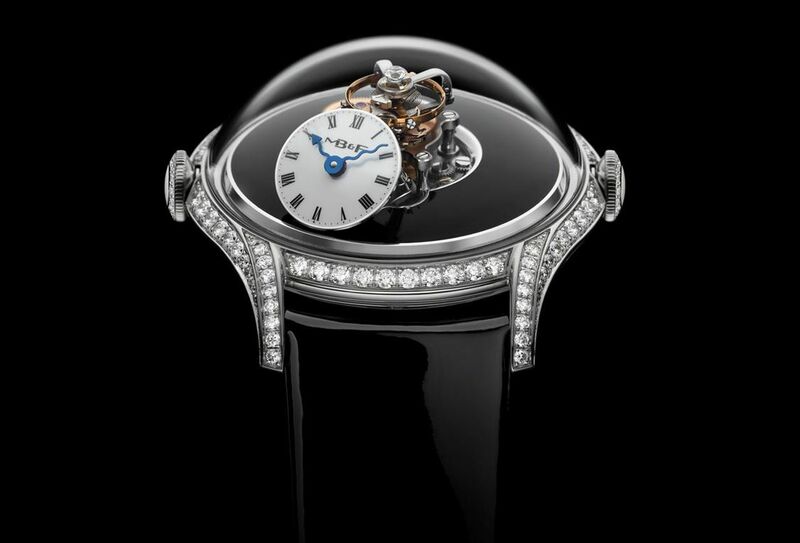 The FlyingT is a serious step in elevating the women’s independent horology. And that’s a good thing.